Quality photo restoration, fantastic service with a fast turnaround. Do you have damaged, torn or faded family photos and think they are beyond repair? Think again. We are here to help. 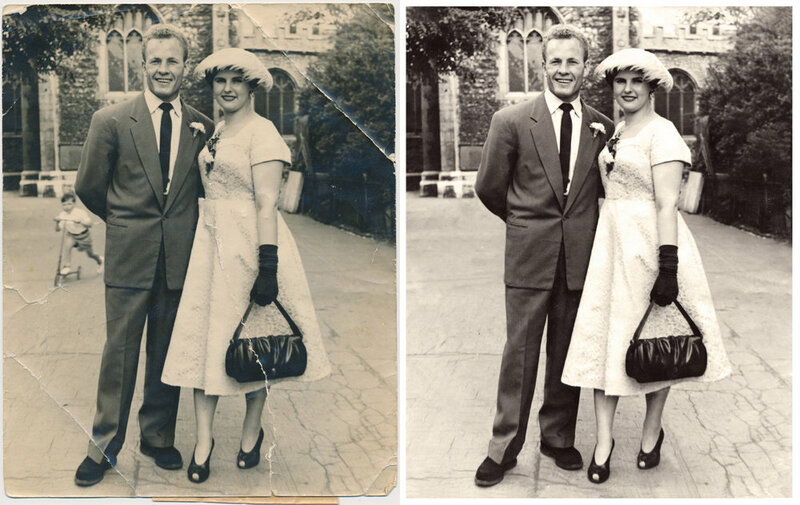 We can digitally repair and restore old photos and faded prints. We can also make copies of photos from prints turning your tattered paper memories into fresh new ones for future generations to enjoy. We charge between £25 - £35 (depending on damage) plus the print cost to restore your photographs. If you have any questions please feel free to contact us on the contact form at the bottom of this page or call me now on 07541329295….